Modular Houses Manufacturer in Delhi, Modular Houses Suppliers in Delhi, Modular Houses in Delhi. 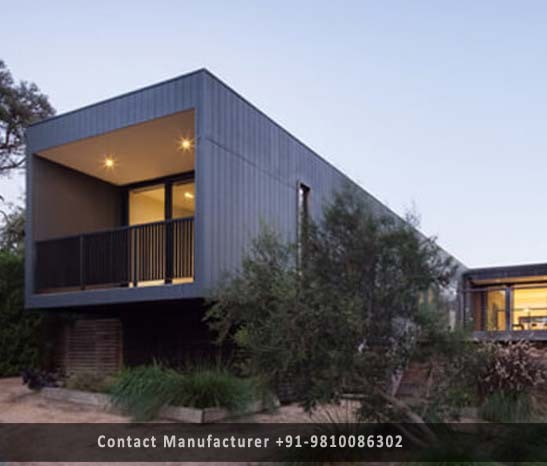 DTH is Enriched with years of experience in the field of Modular Structures in Delhi, DTH is engaged in manufacturing of an extensive range of Modular Prefab Houses in Delhi. (Modular Houses) is a completely new concept in the market the structures are eco-friendly, economical & affordable prefabricated mobile house in Delhi. These Modular Houses built with lightweight and high-quality steel skeleton structure surrounded by colour-coated steel sandwich panels which can be simply assembled in modules, with the components, screwed together and can be quickly assembled and dismantled. These are highly acknowledged among our customers due to their easy installation and excellent thermal insulation. Our offered products are highly durable in nature and are dimensionally accurate also. Additionally, these modular home are available at low-cost prices to increase maximum client satisfaction & interest.